With its desiccated plains and rotting crops, the Africa depicted in the Ford Brothers’ zombie flick proves an evocative setting. 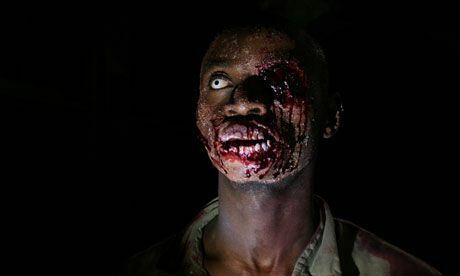 Starting strongly, with American engineer Rob Freeman washed up on a ghoul-filled shore after a plane crash, The Dead has much to recommend it: head-splatting brutality, great cinematography and make-up, plus a racially charged subtext. A little light on plot and characterisation – even by the standards of the genre – it’s an accomplished effort only let down by a second half that meanders like a savannah stream.